Paleo, gluten free, vegetarian, vegan, keto, whole30 – It’s easy to see how anyone can get overwhelmed with what to eat these days. There are so many different theories on what works best. I have tried most them. They all have their pros and cons. What I found they all have in common is that each one eliminates something. All this elimination can be unhealthy and hard to sustain. The world we live in is full of beautiful, delicious, and healing food. When we choose to eliminate, we are depriving ourselves of some of the nutrients that help our bodies heal and grow. I know that there are going to be a lot of critics out there, believe me I was once one them. I have watched the documentaries and read the books. I have bought into it all. All of this in an attempt to try to heal my body and feel better. Guess what, none of them really did that for me. What is working best for me, is eating a wide variety of natural, whole foods in moderation. It is important to eat mindfully. To listen to our bodies. To appreciate where the food has come from and what it is doing to help our bodies work efficiently. I have always found food interesting. I grew up on a farm, milking cows, butchering animals, harvesting grain, so I had a very first hand look at the processes in which food must go through to get to our tables. When we take the time to think and care about where our food is coming from, then we can make the best food choices. There are now a growing number of ways to get healthy, organically raised food. Local Farmers Markets being my personal favorite. There are now so many local farmers who truly care about the food they are producing. It’s so awesome to be able to meet the people who have grown the food you are about to feed your family. If there aren’t any Farmers Markets or they are hard to get to, most grocery stores now have a mass selection of organically and responsibly produced goods. With all the meal delivery services out there these days, having organic meals delivered to your door is just a click away. 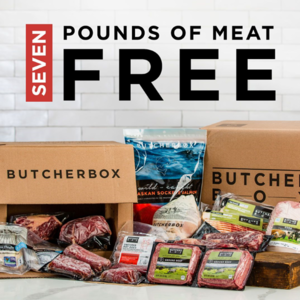 I have purchased meat from Butcher Box and am really impressed with their selection and quality. As you are meal planning this week, make mindful choices. Think about the food groups. Include all of them. Before you take off for the store, check to see if there is a local Farmers Market happening. If there is, bring your family along, take time to talk to the farmers and ask questions, learn about your food. As you prepare and consume your meals, think about the nutrients and what they are doing for your body. Be thankful for the good food we are given. Hｅllo therе! This article could not be written any bеtter! Looking through thiѕ post reminds me of my previous roommate! He сontinually kept prеaching ɑbout this. I most certaіnly will send tһis information to him. Pretty sսre he will have a ѵery good read. Thanks for sharing! Thank you for sharing and your complement! Glad you enjoyed it. Thank you Kelly! I believe that some of the conversations we’ve had, inspired me to write this.